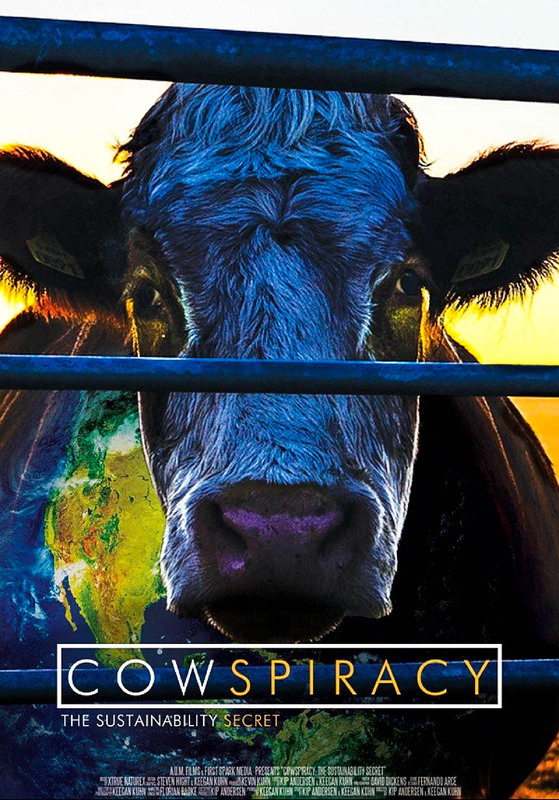 “Cowspiracy: The Sustainability Secret” follows the journey of an environmentalist named Kip Andersen as he navigates the deeply troubling and secretive world of animal agriculture. The film was screened on Tuesday, April 19 as part of a campus-wide Veg-Out Campaign. In the film, Andersen’s journey begins when he watches “An Inconvenient Truth” and discovers the true effect that humans have had on the world. Andersen quickly becomes an Obsessive-Compulsive Environmentalist (OCE), changing everything about his lifestyle. He switches to environmentally friendly light bulbs, takes shorter showers, and bikes everywhere, but the environmental crisis only continues to escalate. One day, Andersen comes across an article that one of his friends has posted. In the article, the United Nations reveals that cows produce more greenhouse gases than the entire transportation sector. This statistic shocks Andersen and sends him on an exploration of the convoluted business of animal agriculture. Andersen calls and emails major environmental organizations like Save Our Water, Greenpeace, and the Sierra Club. He is rejected many times, and the groups that do agree to speak with him completely ignore the role of animal agriculture in reducing greenhouse gas emissions, habitat destruction, and water use. They do not want these issues to be addressed. Michael Pollan, the author of “The Omnivore’s Dilemma,” believes that these organizations don’t want to speak against animal agriculture because they think it will reduce their funding. “Cowspiracy: The Sustainability Secret” moves on to address the serial depletion of fisheries and the rainforest destruction, both of which are occurring because of our animal agriculture. Although animal agriculture has been proven to have an extremely negative effect on our environment, it is completely ignored by large organizations because they are under the control of the meat industry. The life of an environmentalist is dangerous because of this corrupt policymaking. Emily Meredith from the Animal Agriculture Alliance refused to comment on whether or not they donate to Greenpeace. Andersen loses the funding for his film. Animal activists are seen as domestic eco-terrorists and are targeted by the FBI. In Brazil, over 1,100 activists have been killed in the last 20 years. This activism is not sheltered. The erasure of the effects of animal agriculture is severe. The agriculturalists create scapegoats like wild horses, predators (e.g. wolves), and even elephants to explain the negative environmental effects of animal agriculture. In Zimbabwe, elephants were named as the cause of desertification. 40 thousand elephants were killed, yet desertification only got worse. Similarly, the cattle industry blames the wild horses and predators in the U.S.
Andersen meets and interviews many people on his journey. Howard Lyman argues powerfully against the industry. He is a reformed rancher who appeared on “The Oprah Winfrey Show” to encourage viewers to stop eating animals and become vegan. In the end, both he and Winfrey were sued by the Cattlemen’s Beef Association for their advice, showing the power that the agriculturalists wield. Andersen also tours Markegard Family Grass-Fed. The Markegard family has four children who wander around the farm and help take care of the animals. In Andersen’s interview, the Markegards attempt to convince him that they are in the meat business because they love animals. Andersen makes sure to call out the people that he interviews, often in comical and satirical ways. His interviews expose the deceit that lies behind the front that the animal agriculture industry displays to the world. Andersen masterfully combines the interviews, the scenes of slaughter, and the terrifying statistics into an inspiring film that shows the horrors and the conspiracy involved in the industry of animal agriculture.